Born Kim Hyun-a in 1992, today, she’s better known as HyunA. She’s an idol, singer, songwriter, dancer, rapper, model, and also a member of Cube Entertainment’s girl group, 4Minute. 4Minute consist of five members, Ji-hyun, Ga-yoon, Ji-yoon, HyunA, and So-hyun. They were first introduced to the world when they released their first single, “Hot Issue” in 2009. Since then, 4Minute has released one Korean full-length album, three Korean mini-albums, one Japanese full album, six Japanese singles, and various Korean singles. They’ve also gone on to win a few awards at notable award shows such as the Seoul Music Awards and the Billboard Japan Music Awards. In 2010, HyunA released her first solo single, “Change”. It debuted high on various online charts and sold 2,469,354 copies. That very same year, she released “Love Parade” and “Outlaw in the Wild” – all of which instantly catapulted her into becoming one of the South Korean music industry’s hottest topics. Her reputation held strong when she finally released her first solo mini album, “Bubble Pop!”. The music video for its title track of the same name, “Bubble Pop!” was flagged for “racy content” due to HyunA’s dance routine and gyrating in the music video but it still became a fast favourite. On top of that, HyunA is also currently in the running to bag the “Song of The Year” award for “Trouble Maker” at “Samsung GALAXY The 27th Golden Disk Awards in Kuala Lumpur”! HyunA was part of the Wonder Girls but withdrew from the group after suffering from chronic gastroenteritis and fainting spells. When asked about her dream car, she said she likes the Hummer H2. It has been made known that her parents are divorced. Her father owns his own business whereas her mother is a fashion designer. She has a tattoo reads, “My mother is the heart that keeps me alive”. Something she dedicates to her mother. HyunA is said to have a short attention span and her relationships have lasted only one to two months. She once said that if she wasn’t an artiste, she’d most likely be a fashion designer. Her labelmates B2St often call her “whiney HyunA”. 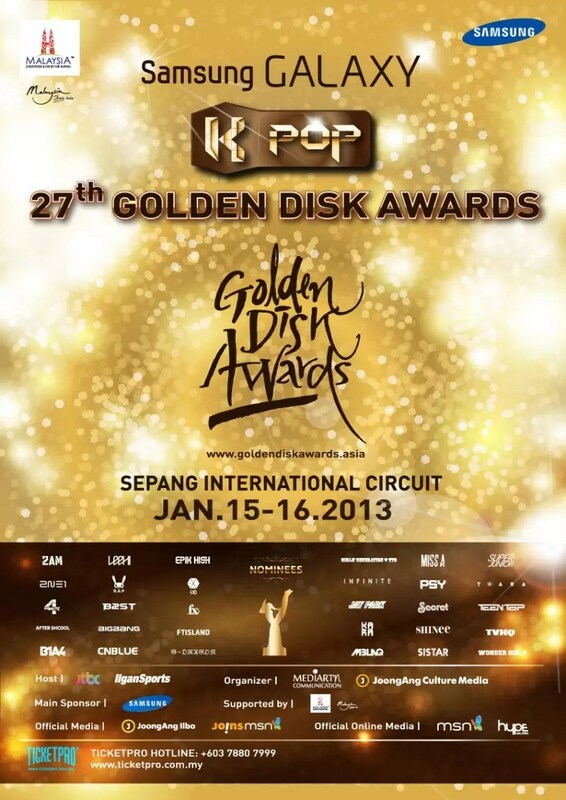 Here’s another fact: HyunA is slated to make an appearance at “Samsung GALAXY The 27th Golden Disk Awards in Kuala Lumpur” (GDA). To purchase tickets, hit up TicketPro or any of their participating outlets right now! Tickets are priced at RM999 (Samsung GALAXY Zone) and RM688 (Rockpit). We hear that tickets are going to go fast so hurry! Previous articleGood Times With B.o.B!